If you’re in the market for new appliances and you’re hoping to find great deals, pay a visit to Appliance Scratch & Dent Outlet in Kitchener. Exceptionally low prices are the norm – and the appliances are all the best. 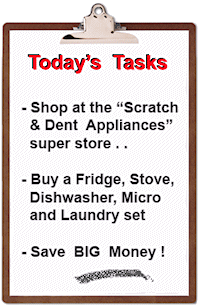 Appliance Scratch & Dent Outlet has been around since 1999. 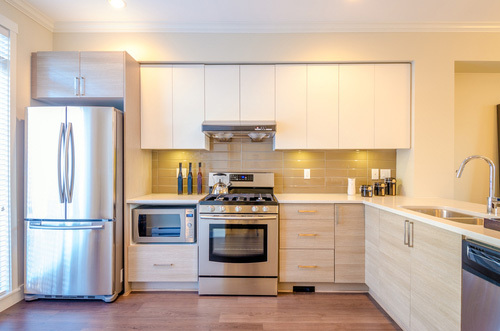 The business continues to grow because it manages to provide customers with all the key criteria that are important when it comes to appliance shopping: low prices, brand-name appliances, and great customer service. The scratch and dent line of products includes all major appliances – but don’t let the wording “scratch and dent” concern you. Products are brand new and are fully guaranteed by the manufacturers. Even if the appliance is scratched, repacked, refurbished, or is simply an open-stock close-out item, isn’t that worth the hundreds of dollars worth in savings? What follows is a bit of an overview of the stock. Please keep in mind that many of the products move quickly, so be prepared to nab what deals you can while they’re available! Refrigerators offer many choices. You’ll find bottom mount/freezer bottom refrigerators, French-door bottoms with split-top doors fridges, SXS-style that features a freezer down one side and the fresh food compartment side-by-side, top mounted (that is, freezer on the top) models, counter deep fridges, full fridges without freezers, apartment size fridges, and compact style fridges. Colour is often stainless steel, but you’re welcome to call in advance to see if a colour or style you want is in stock. Electric Ranges and Gas Stoves are equally impressive. Ranges come in 24-inch or 30-inch electric coil, ceramic glass smooth top, free-standing electric, convection, and more. Gas stoves are available with sealed burners, as slide-in models, and 30-inch convection gas stoves. There’s also professional grade electric or gas ranges. Dishwashers include energy efficient dishwashers with front controls, integrated dishwashers, ultra quiet “cabinet style,” and slim tall tub dishwashers, to name a few. As well, professional grade dishwashers are often available. Washing machines are varied enough to suit any requirement… top load, rear console, stackable front load, space saving washers – and even HE/high efficiency washing machines. There are some very cutting-edge products, including washers with anti-vibration systems, and smart technology with multi-programmable controls. Dryers come in electric or gas models. The available options can suit your newly purchased washing machine: 27-inch wide models, extra-large and super capacity, high efficiency, smart technology, and more. Add to all this water softeners and purification systems. Plus, microwaves deserve a mention. Brands are by leading manufacturers that include, by example, Electrolux, Frigidaire, Panasonic, and White Westinghouse. Appliance Scratch & Dent Outlet is committed to customer satisfaction. We service what we sell with our own Factory Trained Service Technicians. We also provide Factory Authorized Service for Electrolux and Frigidaire in the region of Waterloo. Visit the showroom – you’ll be glad you did! 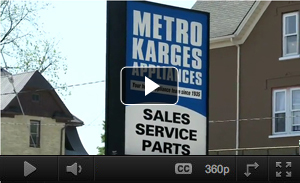 Appliance Scratch & Dent Outlet is located at 407 Gage Avenue, Unit 4 in Kitchener, Ontario. 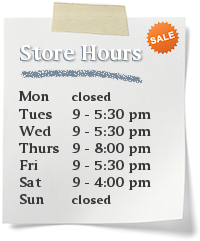 Contact the store by calling 519-749-9992 or by email at sales@scratchanddent.ca.